I have Broadcom bcm43142 chipset and I installed the correct wl module and the wifi seemed to be working fine but when I rebooted my laptop, wifi was gone. The output of the lsmod command shows that wl module is loaded but sudo modprobe wl doesn't do anything. I just don't know how to get it to work again. Once in a few times when I boot up, wifi interface shows up but it only lasts till that session. Please help me, I've tried everything I could and searched almost all the threads still could not find the solution of my problem. 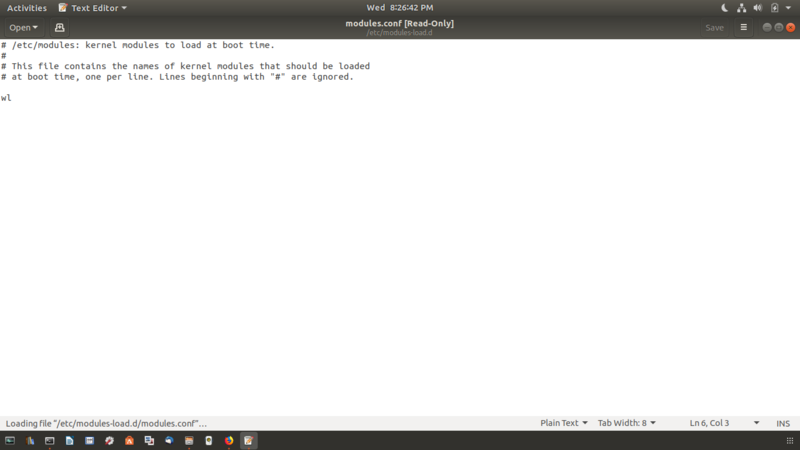 [    7.585523] wl: loading out-of-tree module taints kernel. [    7.585528] wl: module license &apos;MIXED/Proprietary&apos; taints kernel. 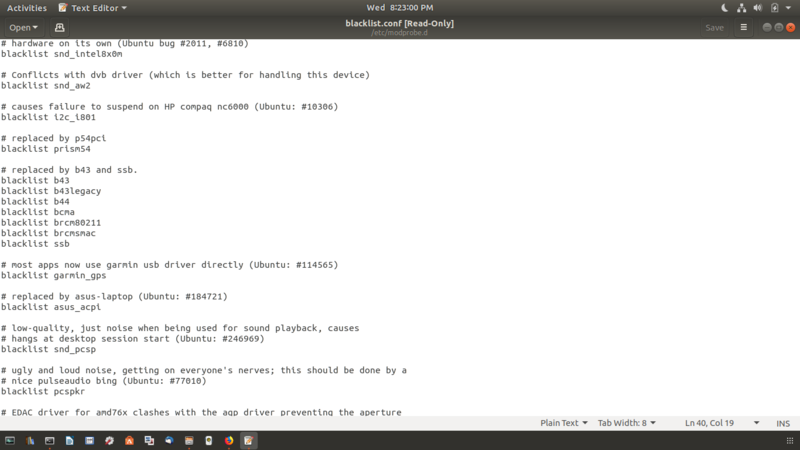 Browse other questions tagged networking drivers wireless 18.04 or ask your own question.